My desire for this day to come, to see Jesus, was impacted by my Daddy who was slowly drifting away from us. Dementia had started to creep in and the man with whom I would have the best conversations morphed into a man who could only talk about the weather. And so, I began to feel it deeply in my heart- Lord, haste the day! Make my Daddy’s faith sight! I didn’t want to lose him, but the discovery that I already had left me weepy every time we sang It is Well. But I found something surprising to be true; it WAS well with my soul. Even in the midst of a breaking heart, I was reminded that my Daddy had loved Jesus well and had faithfully demonstrated with his life what it meant to walk with God. His greatest desire? Give me Jesus. A year ago today, my prayer was answered. My Daddy’s faith was made sight! At the funeral a few days later, I wore my It is Well necklace. My sister played the hymn on piano as the prelude and then the congregation sang it. And I sobbed. I sobbed with the ache of missing my Daddy. And I sobbed with the joy that I could only imagine he was experiencing. I was determined to celebrate my Daddy today. I had an Amish made sticky bun with coffee for breakfast. I decided to use one of his sermons as my Sunday school lesson. I taught from his hand written notes on God’s promises, God’s presence and God’s preeminence (my Daddy loved alliteration and 3 points!). And then I entered our church sanctuary to worship with our church family only to discover that one of the songs that we would be singing was It is Well. Of course. 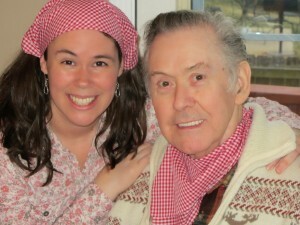 This time, it was my husband’s strong tenor that I echoed, but I could hear my Daddy singing in my heart. 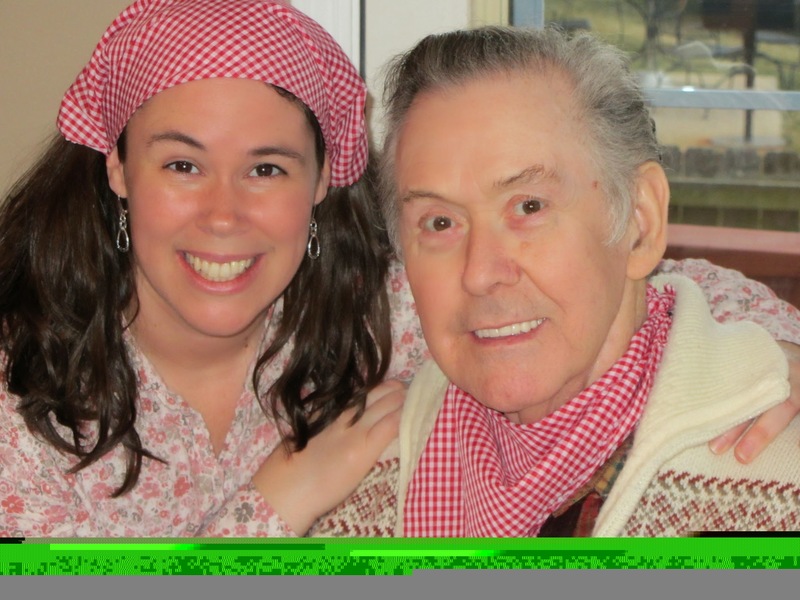 He loved to sing (and call-echo songs were always a favorite! Nobody would sing “Unto thee, O Lord” like my Daddy!). I silently sobbed my way through the last verse as usual. The ache is still present, but oh, the joy! The joy of knowing that my Daddy is walking with Jesus! That he is fully restored to health! That he has heard well done, my good and faithful servant! Oh, how I want to tell him all that happened today! I want to tell him about how I loved teaching his lesson while looking at the waterfall picture that hangs on the wall in my husband’s office (the picture that we gave to him as a thank you for officiating our wedding). I want to tell him about the piece of shoo-fly pie I ate yesterday and how I took the kids to pick peaches. I want to tell him that he would be so proud of his son-in-law who faithfully preaches the Word of God. I want to tell him that I watched the 49ers win today and that they no longer play at Candlestick. I want to tell him that I ran (mostly!) for 2.5 miles today. I want to tell him that we ate baked oatmeal for dinner and fresh peaches. I want to tell him that he is still a daily part of my life. His wisdom, his prayers, his faithfulness, his legacy are having a lasting impression. But mostly? I want to tell him that it is well with my soul.